This film is about an ill-fated boy (Kapila) looking for his birth father. He is born during the solar eclipse, which grants Kapila destructive powers. According to Madagascar's traditional belief, children with the destructive power needs to be trampled to death. However, a young female adopts Kapila. After realizing his life story, Kapila decides to return home to learn about his past with the guidance of a mystical blind woman. This is a poetic film that pinpoints the relationship between traditional and modern concepts of freedom. The movie uses "water" as a recurrent metaphor. All major characters dream about the ocean that they have never seen. The yearn for the ocean symbolizes the return to the oceanic mother, which implicates one's desire for freedom. 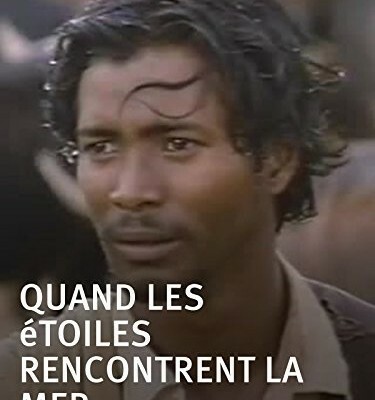 Raymond Rajaonarivelo tries to depict the liberation struggle of the Malagasy through the leitmotifs in the short film. Raymond Rajaonarivelo is a director from Tananarive, Madagascar. Born in 1952, he spent his childhood in Tananarive before moving to France, where he still resides today. He studied film in Montpellier and Paris. He is best known for his debut feature film Tabataba (1988), which was selected for The Directors’ Fortnight at the Cannes Film Festival, and for his film When the Stars Meet the Sea (1996). “Quand Les Étoiles Rencontrent La Mer.” Fandor, www.fandor.com/films/quand_les_etoiles_rencontrent_la_mer. “Quand Les Étoiles Rencontrent La Mer.” Les Inrocks, www.lesinrocks.com/cinema/films-a-l-affiche/quand-les-etoiles-rencontrent-la-mer/. “Quand Les Étoiles Rencontrent La Mer De Raymond Rajaonarivelo - (1996) - Film - Drame.” Télérama.fr, www.telerama.fr/cinema/films/quand-les-etoiles-rencontrent-la-mer,41987,critique.php. “When The Stars Meet The Sea (1996).” ‎When The Stars Meet The Sea (1996) Directed by Raymond Rajaonarivelo • Reviews, Film Cast • Letterboxd, 1 Jan. 1996, www.letterboxd.com/film/when-the-stars-meet-the-sea/. Buchanan, Sarah B. “When Image Meets Magic: Learning to See in Raymond Rajaonarivelo’s Quand Les Étoiles Rencontrent La Mer.” Research in African Literatures, Indiana University Press, 26 Aug. 2015, muse.jhu.edu/article/589892.